While catching up on some of my backlog, I came across an interview I did during last year’s Harrogate Crime Writing Festival. 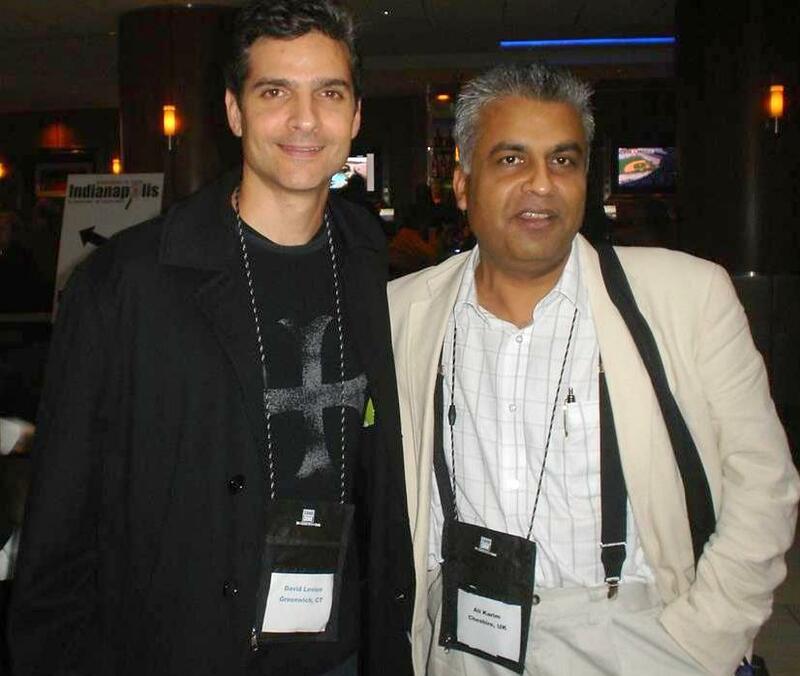 Included among that event’s attendees were several screenwriters turned crime novelists. One was Neil Cross, who was familiar to me both from the BBC-TV series Spooks and as the author of two thrillers, Burial and Captured. Another was David Levien, who like yours truly spent some of his early years in the American Midwest. In addition to his Hollywood work, Levien has turned out a pair of novels--City of the Sun (2008) and Where the Dead Lay (2009)--that feature hard-man private eye Frank Behr. Then later last year, during Bouchercon in Indianapolis, I bumped into Levien again. He was on hand as a Barry Award nominee (though City of the Sun ultimately lost out to Tom Rob Smith’s Child 44 in the Best First Novel competition). He spotted me straight away, gabbing it up one night with other convention-goers in the hotel bar. We wound up drinking together into the early hours of the next day, joined by writers F. P. Wilson and Heather Graham. We talked about P.I. fiction, and I entertained him with my experiences in the American “heartland.” After spitting his beer in a fit of laughter at one of my tales, Levien suggested that I ought to write them down. It was a delightful evening, reminding me that one of the reasons I love crime-fiction conventions is the opportunity to engage in welcome camaraderie and build friendships with fellow writers and readers. Recently, I finally found a few free hours in which to transcribe my Harrogate exchange with Levien. The result is a wide-ranging interview that touches on his film efforts, his fiction, and his connection to fellow thriller writer Josh Bazell. Ali Karim: I realize that City of the Sun was not your first published work. But which came first, your screenwriting or your novels? David Levien: For me, my dream was always to be a screenwriter as well as a novelist, because for some reason I believed I could do both. My first purchased and produced work was the screenplay for the movie Rounders, and that was followed closely by a novel called Wormwood , which is a literary novel set in Hollywood. There was no crime tie-in to that novel; it was a story set against the movie business. AK: Yes, but which was your first success, getting a novel into print or getting a screenplay filmed? DL: Well, Rounders was purchased by the Miramax Company in 1997 and quickly went into production, and the film was released in 1998. AK: When I read your first crime novel, City of the Sun, which features an extremely interesting character, the ex-cop private investigator, Frank Behr, I couldn’t help but wonder whether you conceived of it from the outset as the start of a series. DL: When I wrote the book, I was haunted by the idea of child abductions and violent crimes and what they would do to the mother and father of the children, but I wasn’t sure how to frame the story, or how to tell it. Then the thought of a towering figure who was physically tough, who knew the underground crime world and was prepared to confront the types of people who carried out these crimes walked into my imagination fully formed as Frank Behr. He was a sort of down-and-out character that the family of a missing child found ... That for me was a great nexus. And then I wanted to set [the story] in the U.S. Midwest, as it is a bucolic place, where people are not on guard for this type of crime and it would be more shocking than in a metropolis like, say, New York City or Los Angeles. At the time I had no vision of selling the book or having it published or even if I could turn it into a series; but at the back of my mind I thought that if it did, I’d need to give myself the opportunity in the narrative to do just that, so that Frank Behr could encounter other cases. So I picked Indianapolis [as a setting], which is about the 12th biggest city in the United States and has that “Americana” quality, [a feeling] of safety to it, but if you dig below the surface you see a high murder rate, and it has its fair share of rough and tumble. I guess Indianapolis sits at the cross-section of what I was looking for as a setting. AK: One of the pivotal scenes in City of the Sun involves a personal tragedy that defines Frank Behr. But you wait to introduce that scene and talk of the tragedy until halfway through the book. I’m talking here about the scene in which Frank loses control, and it is cathartic for the reader to see him trash a street sign in a rage. How difficult was it for you to keep Frank’s tragedy out of view for so long? DL: Well, I wanted Frank to be marked by that tragedy [as a way] to give him darkness and depth of character. Like in life, most people don’t introduce themselves with the worst tragedy that happened to them. Nor did I want to save it for a key moment, but rather keep the pressure on in the current case he’s working on in concert with all the things in his past that it was evoking. That scene you’re talking about is when he goes to the street where he used to live, before the “thing” happened, and he flashes back to that night. AK: I found it remarkable, in City of the Sun, that you managed to not go overboard with the pathos and tragedy that was unfolding, especially as the opening details a child’s abduction, told from the parents’ point of view. 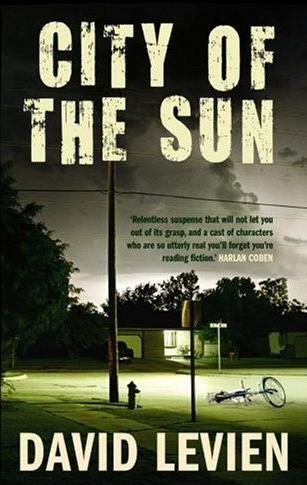 Had you read much crime fiction before working on City of the Sun? “The missing child” is, after all, a rather well-worn convention of private-eye novels, yet you reworked it completely by having the parents active in the investigation. DL: I had read a lot of crime fiction at the time, but for some reason I hadn’t read much P.I. fiction centering around child abductions. I guess many of the well-known P.I. series novels feature a super-heroic character or characters, and they can do anything they need to, in any circumstance. That’s entertaining, appealing to read, but I wanted that to be a little less possible for my protagonists. And the missing child theme, I guess, was more prevalent in true-crime stories. The details were all different, but the basics were the same--parents who didn’t expect it, like a kid [going] missing [while] waiting at the bus stop, or the parent lost eye contact with their child for a minute--and the kid’s gone. That image truly haunted me for years. Then finally, when I became a father and had my first son, that image became so terrifying that I decided for my own sanity to tackle it in a novel. AK: I also enjoyed the fact that in most child-abduction cases, the trail goes cold within 72 hours, but in City of the Sun the trail is well and truly cold--many months old. It’s up to Behr to make the connections that will lead him to a solution. And in the follow-up, Where the Dead Lay, we see Frank deploying more of his intuitive detective skills, right? DL: Yes, he does. 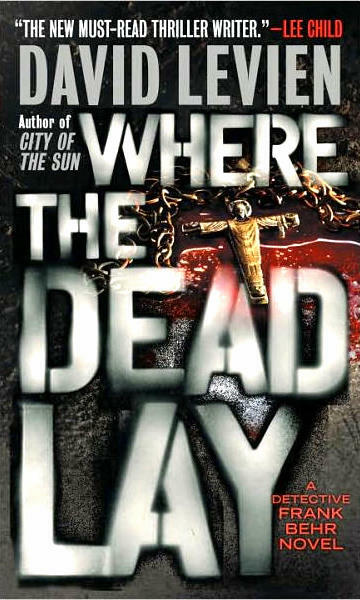 In fact Where the Dead Lay picks up not too long after City of the Sun [ends]. Frank encounters something very disturbing and related to his personal life--the death of a friend. Shortly after that he gets tasked by his old bosses from the police department to take on a problematic investigation that turns out to have threads that stretch throughout the underworld in the city of Indianapolis. It’s legalized gambling and organized crime, but not Mafia, and the roots of crime and evil from a family perspective. I think plenty of crime fiction is full of characters that spring from decent families, but my thought process in Where the Dead Lay is what if that kind of evil was “born and breed,” almost matured in a family business and almost blessed. That’s where the villainous aspect comes from in the second book. AK: Considering your film connections, has there been any interest in adapting Frank Behr for either the small or big screen? AK: I notice that your own screenwriting seems to be heading toward crime fiction. In fact, I heard that you were involved in adapting Don Winslow’s 2006 novel, The Winter of Frankie Machine, for theatrical presentation. DL: That is true, and it was a bit of a heartbreaking episode in my movie career. I got hired to adapt it, I thought it was a great book, Robert De Niro’s company was producing it, and it was for De Niro to star in. Everyone’s goal was that it would be a movie that [director] Martin Scorcese would sign onto, and indeed he did. There was a start date set, and it seemed that it would be De Niro and Scorcese’s swan-song to the mob era. But then differences of opinion between them in the directions to take it could not be resolved and so eventually, Marty went onto to do something else, as did Bob De Niro, and the pieces came apart almost as quickly as they came together and it was very, very frustrating. However, recently I’ve heard that Paramount, who owned the rights, have had some changes and the project has gone into “turnaround.” So I’m afraid I can’t see a film version of The Winter of Frankie Machine anytime soon, but in Hollywood, who knows. AK: That’s too bad. I was really looking forward to seeing Winslow’s story in the theater, as it was a tremendous novel. Speaking of tremendous books, not long ago The Rap Sheet interviewed author Josh Bazell, following the success of his novel, Beat the Reaper, and I’ve heard that you’re involved in a film project based on that book, as well. Can you tell us a little about what’s going on? DL: My screenwriting partner, Brian Koppelman, and I got the job to adapt Beat the Reaper for Leonardo DeCaprio’s company, who are producing it with a view for Leonardo to play the lead. The book is a wild ride, and it’s great fun to try and adapt it for the screen, as it has a great story, it’s hip [and] violent with a wickedly funny premise. The book is full of incredibly dark humor about the U.S. medical system. AK: So what are you working on now, apart from the screenwriting? DL: Well, Ali ... I’m working on the third Frank Behr book. AK: Finally, is this your first visit to Britain? DL: No, I’ve been to the UK several times, but this is my first time at Harrogate and this is an excellent festival. ... To see so many people interested in crime fiction has been a revelation. It’s great to meet the fans of the genre, meet other authors, many of the legends in crime writing. As writers of crime fiction, deep down we’re all fans, too.